The tampon tax discussion shouldn’t be one we’re having in 2018. It’s time taxation policy caught up with contemporary expectations. The Section 44 fiasco severely wounded the democratic process in this country. To avoid us returning to the same point, we need lasting change. 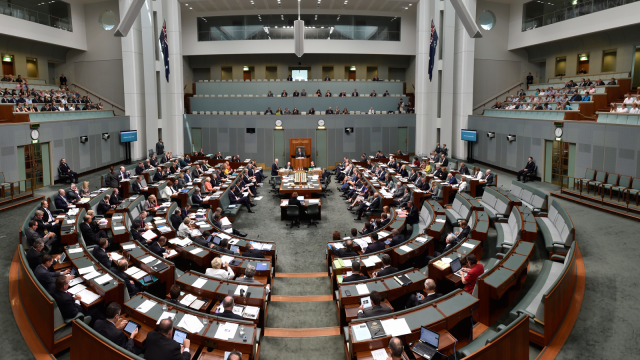 #AusPol winners and losers: Who slipped the noose this week? Once more into the breach, dear friends. With the #AusPol bus commencing its usual route, we’re curious to see who was thrown underneath the wheels. Forget about the ABCC, the biggest issue befalling the corridors of power this week involves a fenced lawn. I pretended to be an investigatory journalist, but sat at home to file this report. Ironically, I slept in! What happened while you were asleep? Well, Abbott took aim at everyone, as the media grinned, seaweed will stop us from being gassed and CBS will make Candy Crush into a TV show. With the QLD Government set to remove Wicked Campervans off the road, is it the right move, or further evidence of PC gone mad?